Describe the design of the orientation space at the center of the Lascaux IV museum space. Summarize the two images evoked by the designers of the Huang Gongwang Museum. Explain the overall design concept behind the National Veterans Memorial and Museum. 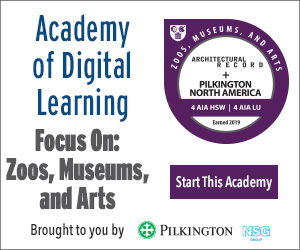 List two strategies used to connect the redesign of the Michael C. Rockefeller galleries at New York’s Metropolitan Museum of Art to the rest of the museum. The goals of these designs were well integrated with their sometimes-heavy topics. The Civil Rights Movement, war, or the importance of ancient history were as much a part of the design considerations as materials and cost. To do the topics justice, these projects made the most of concrete, steel, and glass as well as the surrounding natural environment. 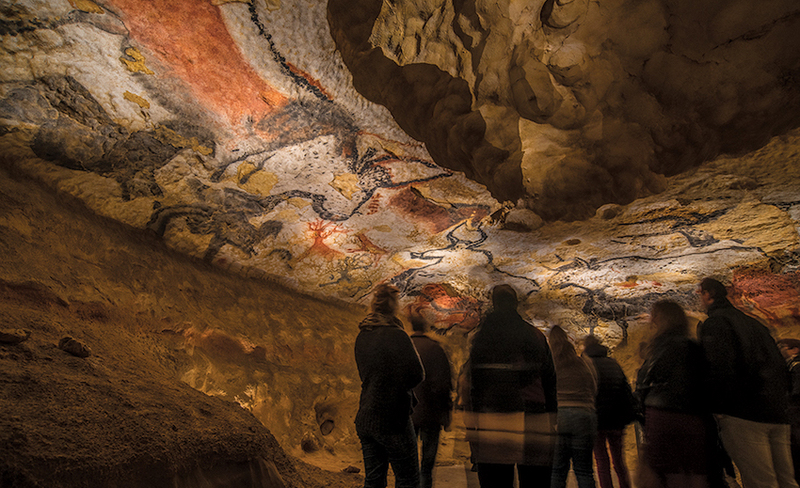 Lascaux, with its grotto and treasures, gained an international reputation for the quality, diversity, color, and sheer size of its animal paintings. To alleviate the stress created by 250,000 annual visitors, Snøhetta designed this museum housing a cave facsimile, plus interactive and contemporary art exhibits, theaters, a shop, restaurant, and offices. The Fuyang Cultural Complex takes visitors on a journey through outdoor and indoor rooms, creating surprises along the way, as you view the complex from different depths, heights, and angles. Eero Saarinen’s simple but brilliant design created a breathtaking stainless-steel catenary arch that soars above the Mississippi River. After many decades, the newly expanded museum, with its circular steel and glass canopy, is the main architectural component and centerpiece of the project. The National Veterans Memorial and Museum’s 53,000-square-foot demanding structure in Columbus, Ohio, was so challenging, it was hard to find a qualified contractor to create it. The series of exposed concrete arches are curved in plan and overlap to create three intersecting rings and a spiraling circulation path, both inside and out. During the renovation of the Michael C. Rockefeller Wing at the southern end of the Met’s massive building along Manhattan’s Fifth Avenue, the nearly 40-year-old glass curtain wall will be entirely replaced with a new system. Conditions within the cave replica are as close as possible to the real thing.